The day favors teamwork and communication with management. Feel free to make suggestions and discuss problems with colleagues, but act as correctly as possible. 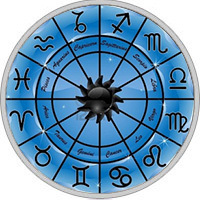 Career horoscope advises to pay attention to their hobbies. Perhaps you can turn your hobby into a profitable business. The period of passage of Mercury on the sign of Aries is not suitable for discussions. You are subject to the influence of emotions, so you can not convey your thoughts to opponents.